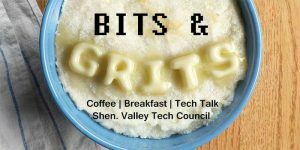 REGISTRATION IS NOW OPEN FOR VALLEY TECHCON 18! The inaugural Valley TechCon brings together technology enthusiasts, practitioners, researchers, and business leaders to facilitate idea sharing, collaboration, and innovation. Sessions will cover a broad spectrum of topics from autonomous vehicles to artificial intelligence. The goal is to inspire new ideas, improve business efficiency with emerging technologies, springboard new ventures, and expand networking opportunities. Beyond the keynote and featured speakers, guests will have the opportunity to attend five breakout sessions. Each session is composed of three different topics so you can choose the information most relevant to you. Following the conference, you will be shuttled to Pale Fire Brewing company in bustling downtown Harrisonburg for a post-conference networking event. Meet peers, entrepreneurs, and influencers from the tech industry. ValleyTechCon18 has attracted presenters from private industry, government, and higher education to present on a broad spectrum of leading-edge technology and business development topics.